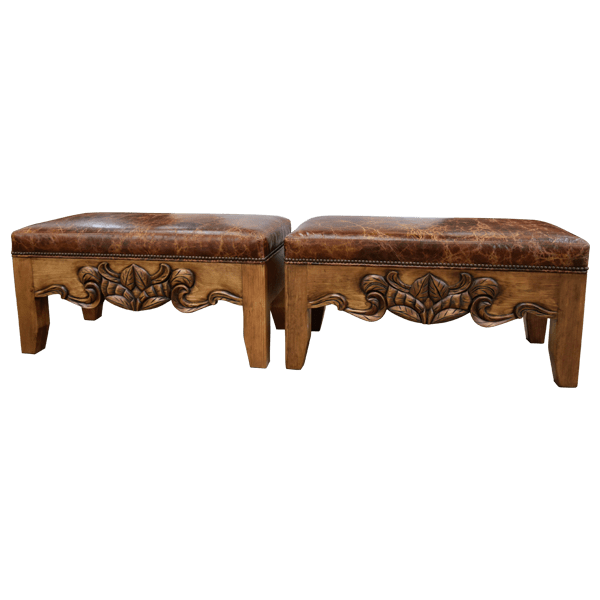 Complement your home décor with a pair of these magnificent, Western style benches. 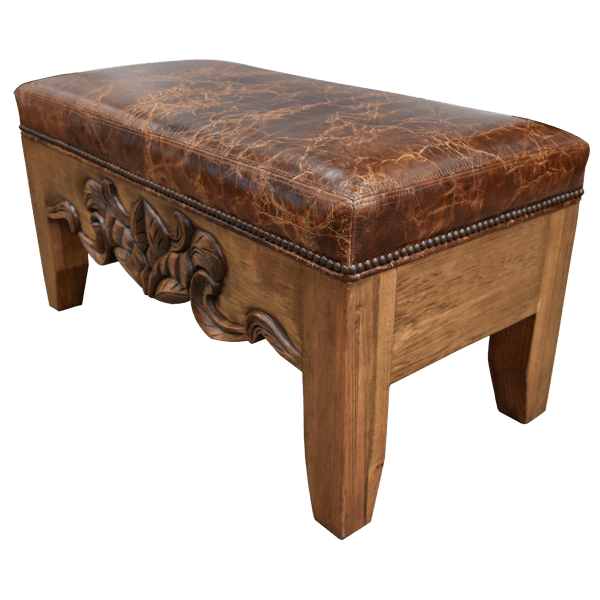 This bench has a solid wood frame with a gorgeous, antique finish. 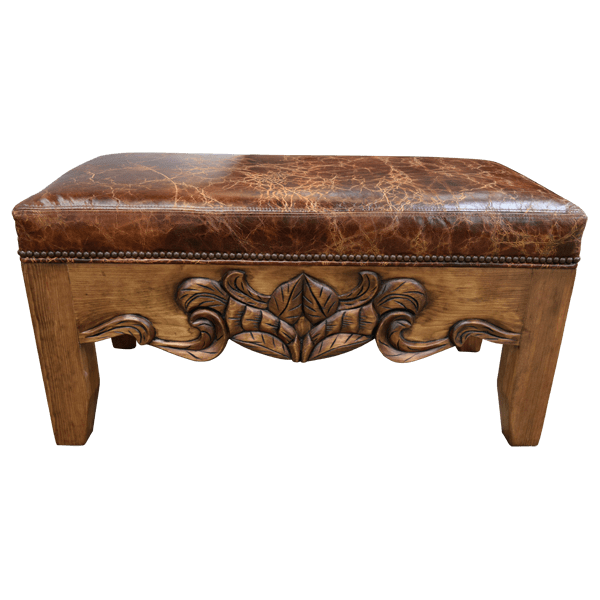 Its seat is well padded, and it is covered with rich, patterned, full grain leather. The leather is hand tacked to the wood frame with decorative nails. The bench is designed without a back. The front of the bench features a curved apron, and the apron is embellished with graceful, hand carved, floral and scroll designs. The bench is supported by sturdy, solid wood, tapered legs. It has a beautiful finish, and it is made with the best, sustainable, solid wood available. It is 100% customizable.